Everton FC have banned The Sun's journalists from its stadium and training ground in the wake of a controversial column by Kelvin MacKenzie. A statement on the club's website said it had told the News UK-owned paper on Friday that it was banned from the ground, the USM Finch Farm training ground and all areas of the team’s operation. MacKenzie, who has been suspended from The Sun with immediate effect, used his column last week to compare Everton midfielder Ross Barkley - whose grandfather was born in Nigeria - to a gorilla. The former Sun editor later said he had no knowledge of Barkley’s family background and that the idea the article was racist was "beyond parody”. Liverpool Mayor Joe Anderson had complained to Merseyside Police and the Independent Press Standards Organisation (IPSO), condemning MacKenzie for his “prehistoric, stereotypical views of our city”. 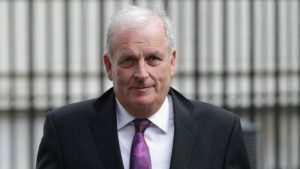 News UK said: “The views expressed by Kelvin MacKenzie about the people of Liverpool were wrong, unfunny and are not the view of the paper. The Sun apologises for the offence caused. “The paper was unaware of Ross Barkley’s heritage and there was never any slur intended. The suspension was announced on the eve of the 28th anniversary of the Hillsborough disaster. MacKenzie was editor of the Sun when it published a front-page article headlined “Hillsborough: The Truth” in the aftermath of the 1989 disaster.